Google’s long been a favorite of many NASDAQ investors. Even before their IPO, the company posted amazing earnings. The company’s culture of controlled progress, innovation, optimism, targeted consumer products, and advanced technology has inspired thousands of startups and global corporations. Its extensive ventures have paid off well for investors. “We had a strong 2018 with total revenues of $136.8 billion, up 23% over 2017 For the fourth quarter, revenues of $39.3 billion were up 22% year-on-year. US revenues were $18.7 billion, up 21% year-over-year. EMEA revenues were $12.4 billion, up 20% year-over-year” from Google’s chief financial officer, during investor meeting in Motley Fool. No one can argue the historic success of Google / Alphabet. It’s easy to predict their annual success and growing returns, but is Google better than similar NASDAQ stocks such as Facebook, Netflix or Amazon? The big question now is whether the FAANG companies and Google can excel in the post Free Trade era and in lieu of $5 billion fines from Europe and other locales for data protection issues. Europe it appears, wants the big American companies out of their jurisdiction. And with US China trade wars deepening, it won’t find much growth in Asia. But Google is such a successful, powerful enterprise that you can expect it to win at anything from advertising to cloud to video to artificial intelligence. What investors might want to consider as Google’s real issues are the global political environment (negative), competition (Facebook and Amazon could invade their markets) and the future health of the US economy (excellent). Will Google face GDPR regulations and find themselves handcuffed to collect and use user data? Will anything threaten the advertising duopoly of Facebook and Google? The FAANG stocks as a whole are expected to thrive. Even if Elizabeth Warren is successful in exercising anti-competitive action, the FAANGs will be just as good when pared down to their core competencies. 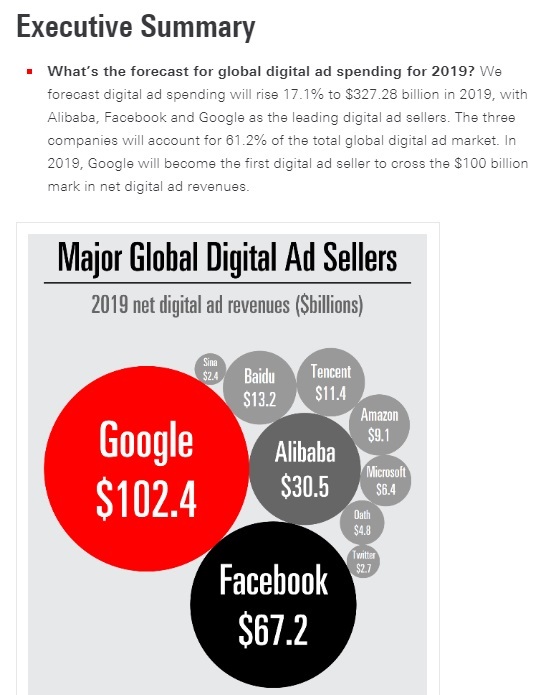 When digital ad spending climbs, as expected, and only 2 companies currently control the industry, you can expect each to excel. Check out the Facebook stock forecast and the Amazon stock forecast. Google’s primary revenue source is advertising, and its flagship product Google.com search is the king pin. Alphabet is more of a proxy name for Google’s search engine which controls about 80% of the web search market. Google makes revenue from a growing list of phenomenal products: Google Pixel phones, Chrome laptops, Youtube premium subscriptions, Android operating system, Google home automation, cloud computing, and Google play subscriptions. 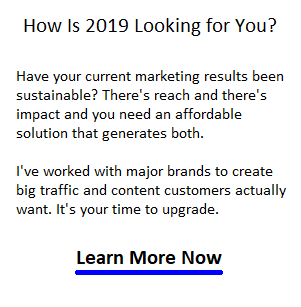 The recent and long expected failure of Google+ as a social media platform is disappointing since it signifies Facebook has completely won in that arena. 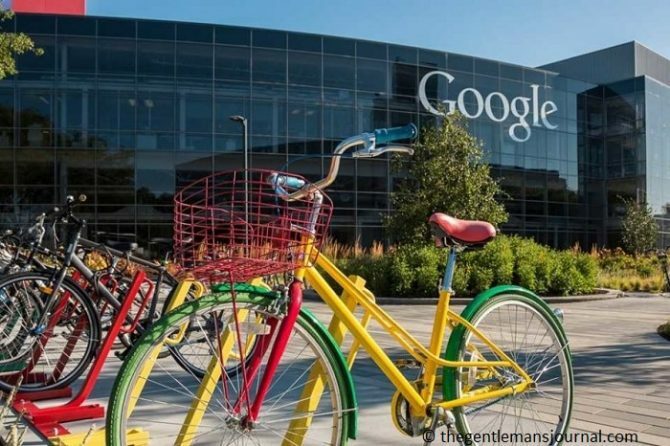 Despite an impressive quarterly fourth-quarter net income of $8.95 billion, or $12.77 a share, compared with losses of $3.02 billion, or $4.35 a share, in the year-ago period, Google’s stock price fell. It currently sits at just under $1100 per share and is rated as one of the best stocks. The 4th quarter results were benefited by a $1.3 billion gain from debt security. Otherwise, the results were as forecast by analysts. Still, the company’s revenue rose to $39.28 billion from $32.32 billion in the last quarter of 2017. Alphabet trades for about 34 times adjusted earnings, and EPS grew 15% in 2017. One concern for investors is rising costs. Yet Google is a well managed, excessively large and well financed operation which could realize in the new USA. Google is highly infused with India and there is little concern that the fast growing Indian economy would block Google. In my humble opinion, Google needs to work more closely with American businesses to create higher quality tech products. The gamble with autonomous cars is risky. It’s estimated that autonomous vehicles on our roadways is a long way off. And the potential conflicts with human drivers who want to drive hasn’t even hit the political fan as yet. Google Price History – Screen capture courtesy of Yahoo Finance. CNN’s panel of experts sees a continuous growth in Google stock price through the next 12 months. This chart from Longforecast sees Google doing particularly well in the years ahead. 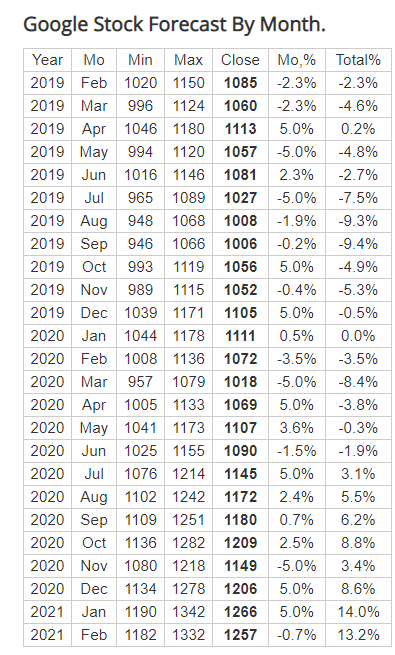 Google Stock Forecast By Month from LongForecast. What do the Guru Stock Analysts Think? At Cowen, John Blackledge has an Outperform rating on the stock. He lowered his price target slightly, to $1,390 from $1,420, as he cut his revenue forecasts for the next five years. “We think earnings and evidence that recent product innovations have impacted financials could serve as a driver for the stock,” Blackledge wrote. — From Barron’s Report. This report is a snapshot of performance and analyst reports and is not a recommendation. Please refer to many sources and detailed analyst reports before making your buy decisions. It should be a good year for stocks after the recent political turmoil. The US economy forecast is solid an it underpins global stocks as well.